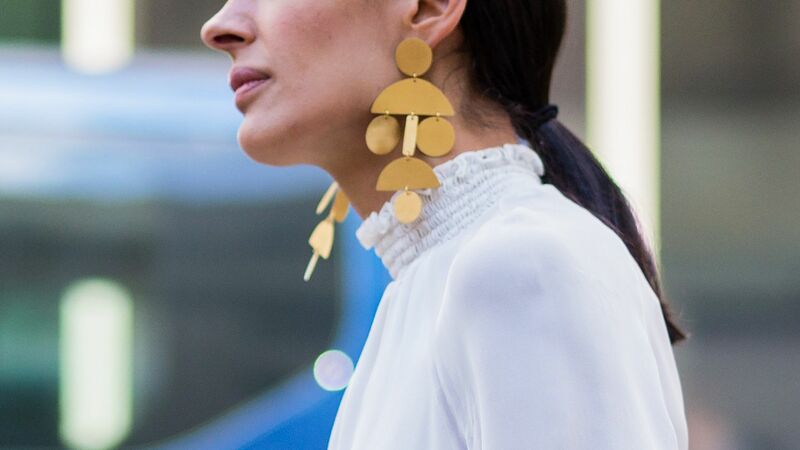 As featured on the list of Oprah's Favorite Things, these staple Janis Savitt hoop earrings are must-haves. 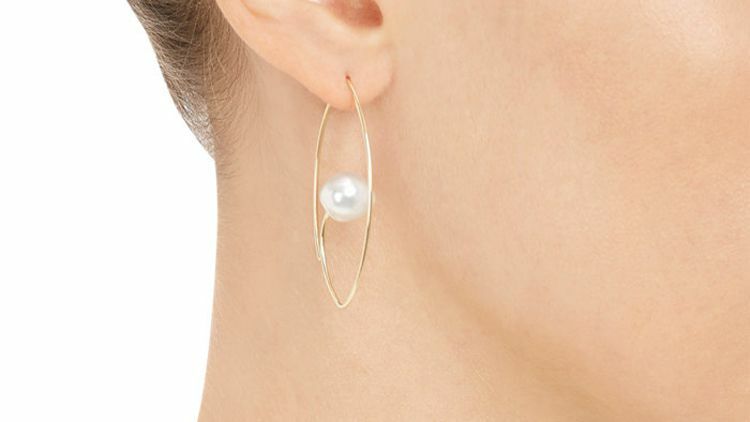 The high polish gold hoops are detailed with a gray pearl. 18-karat yellow gold plated brass. Detailed in pearl. Hoop measures 2-in. in diameter. Posted. 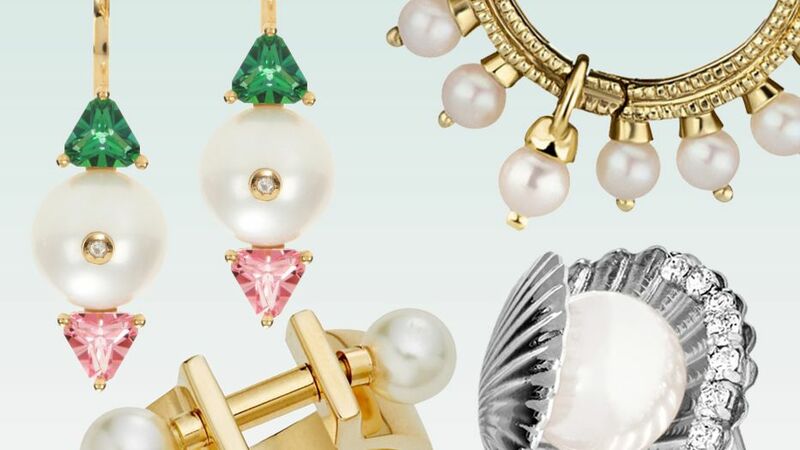 "Cultured Pearl Hoop Earrings 10K Yellow Gold"
A wide hoop silhouette gets a polished update with imitation pearls sitting at the top of these Majorica earrings.